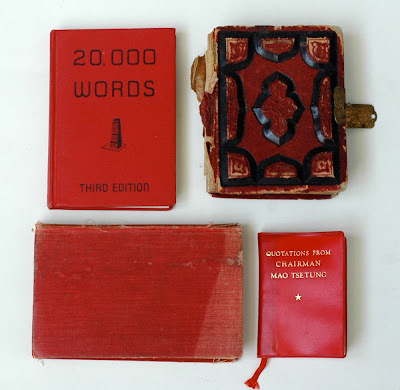 Vintage red books (part of a larger vintage book collection). the reds and the golds are wonderful. i love these. OMG, I totally have that 20K Words book. Don't you just love it? It was in the desk that I inherited at work and when the company folded I absconded with it for my personal collection. 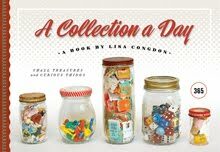 I don't know whether you've covered this but, with all these collections can you talk about storage and display techniques that you use? As a fellow collector, that is my constant battle. I agree with Sparkie, I would love to know about how to take care of these objects. I also have very old books and I constantly worry about them. I love these that you have shared. Exquisite! wow, you've actually got a copy of Mao's little red book - I thought it was a myth!